Church of Our Saviour, 530 W. Fullerton Parkway, seen with one of the official city banners celebrating its 150th anniversary this weekend. LINCOLN PARK — Church bells will chime on Easter Sunday — oh, will they ever — as Church of Our Saviour celebrates its 150th anniversary by tolling its 16th-century Elizabethan bell 150 times. Of course, all Christians are expected to trumpet the return of Jesus Christ on Easter, but Church of Our Saviour also touts its own differences from other churches, and especially the stereotype of Episcopalians as the highest and starchiest of the Protestant sects. "People presume church is a place of classism and racism and homophobia," said the Rev. Brian Hastings, who's been rector at Church of Our Saviour, 530 W. Fullerton Parkway, since 2008. "And for us the difference in what actually happens inside our church is kind of remarkable." Hastings traced Church of Our Saviour's progressive course at least to the 1968 Democratic Convention, when it opened its doors to protesters who were forbidden to sleep in Grant Park. "That was what gave birth to the contemporary Church of Our Saviour," he said. "It sent us on a trajectory that was unique among Episcopal churches along the Chicago lakefront." Yet those roots also go back almost to the church's very origins in what Hastings said amounted to a barn at Cleveland and Belden avenues, with the first services held at Easter 1867. Two years later, the church moved into a sturdier structure at Belden and Lincoln and Orchard avenues. That building was one of the southernmost Lincoln Park structures to make it through the Great Chicago Fire in 1871 (the original barn building was lost), and it gave sanctuary to survivors. 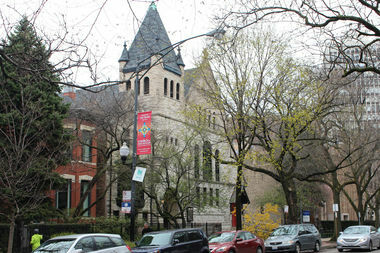 The church dedicated its current Romanesque building on Easter 1889 at the site of what had been Lincoln Park Presbyterian Church, which had moved down to the street the year before to where it still stands. 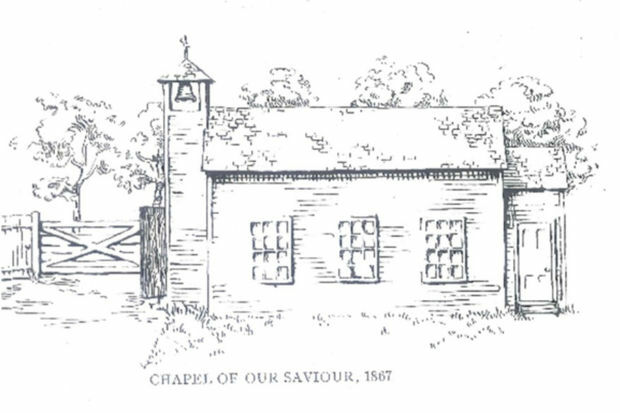 In fact, the original Presbyterian church building remains in use behind Church of Our Saviour. According to Hastings, Church of Our Saviour embraced President Lyndon Johnson's notion of a "Great Society," with health care, education and justice for all, and it never looked back except in a historical fashion after that. "That was our mission," he said. "We saw our mission as being out in the world, making the world just a little bit better." The church's Food for Friends program grew out of boarding those 1968 protesters. It soon became the first in the Episcopal diocese to place women in positions of lay leadership and the first to hire a woman priest. Hastings said the two previous rectors before him both came out of the closet. It helped create a hospice in the midst of the AIDS epidemic. "After the '68 convention, you have us on the right side of AIDS, on the right side of women's leadership, on the right side of the gay and lesbian issue, on the right side of the progressive liturgies of the '79 Prayer Book and the ordination of women," he added. Hastings emphasized Church of Our Saviour wasn't alone among progressive Lincoln Park churches. It was one of four that joined in creating the Lincoln Park Community Shelter. "The North Side has some remarkable religious communities," he said. "There's a real sense of urban optimism and pleasure at being in this neighborhood and in this city and wanting to be civically responsible." The 150th anniversary is Church of Our Saviour's time to shine, and now the church is using that rich tradition to trace a projected course for the next 150 years, led by Morag Fullilove, a parishioner since 1976 who's head of the 150th Anniversary Committee. "We said when we started this we wanted to celebrate the past," Fullilove said, including the church itself and "our stewardship of that treasure." On Sunday the church will host tours of the building and its Louis Comfort Tiffany arts & crafts windows. But Fullilove said organizers really wanted to emphasize the church's tradition of inclusion, which she called "150 years of open hearts, open doors and open minds." That even includes touting its ties to Dorothy Day, leader of the Catholic Worker Movement in the Depression era and current candidate for sainthood, who was baptized at Church of Our Saviour before converting later in life. Inclusion is the theme of Sunday's Easter anniversary celebration as well, which will see a coffee reception open to the public at 10:15 a.m., between services that start at 9 and 10:45 a.m. An Easter egg hunt will be part of that reception, and the Easter Bunny figures to put in an appearance. And the church's 16th-century Elizabethan bell, brought over from England 40 years ago, will toll 150 times to mark each year of the anniversary after both the 9 and 10:45 a.m. services, at about 10:10 a.m. and 12:10 p.m. So don't hold it against Church of Our Saviour if it rings its own chimes Easter Sunday. "It does have a nice tone to it," Fullilove said.